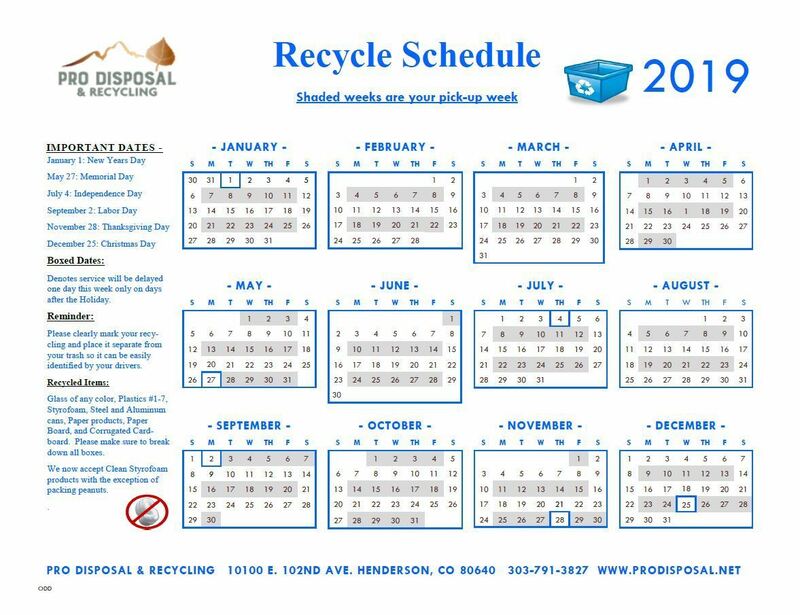 When one of our observed holiday closures occur during a weekday trash and recycling pick-ups will be delayed by one day on or after the holiday with Friday pick-ups occurring on Saturday. 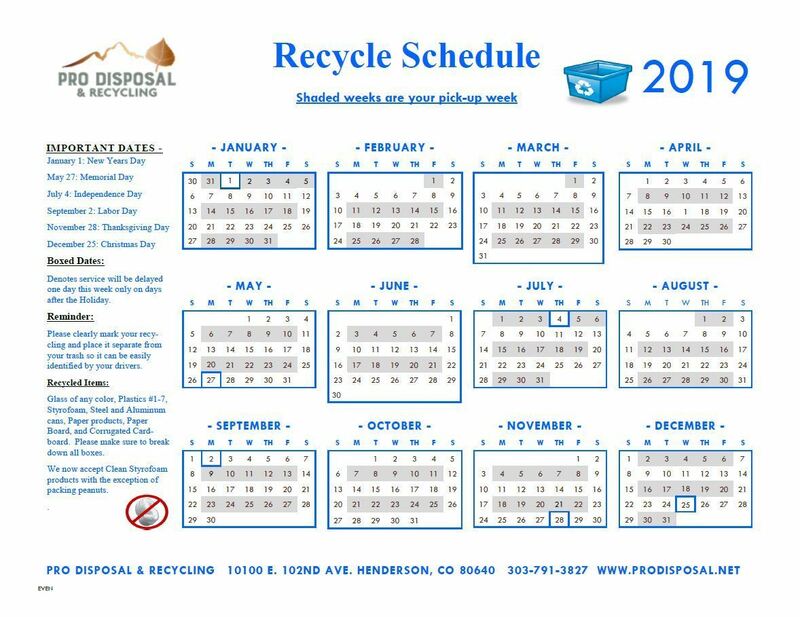 Please note that on holiday schedules trash and recycling still needs to be curbside by 7:00 am. If you miss putting trash out and need for us to do a go back on the same day, an additional fee of $25.00 may apply. For us to return on a day that is not your normal pick-up day, the fee would be $75.00. If you are ever in doubt about our holiday schedule, please contact our office at (303) 791-3827 for a recorded message.